Impress your partners in crime with your healthy skin and the classic scent of Bay Rum. With Bootlegged Aftershave you will get all the benefits from one of the most healing plants as well as one of the most renewable resources on the planet. Our oil is loaded with the full spectrum of healing hemp compounds, flavonoids, protein, essential amino, omega fatty acids. 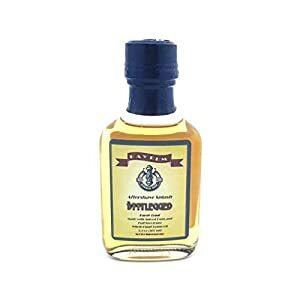 Bootlegged Bay Rum Aftershave Splash with Hemp Oil is made with real spiced rum, hemp oil, and coupled with other great natural skin conditioning ingredients like aloe, witch hazel and more. No more road rash! This is a must have product for sensitive skin.